With wit, humor, and an infectious love of astronomy that could win over even the science-phobic, this fun and fascinating book reminds us that outer space is anything but remote. The scientist behind the popular website badastronomy.com, Philip Plait presents some of the most fearsome end-of-the-world calamities (for instance, incoming asteroids and planet-swallowing black holes), demystifies the scientific principles at work behind them, and gives us the odds that any of them will step out of the realm of sci-fi to disrupt our quiet corner of the cosmos. The result is a book that is both terrifying and entertaining?a tour of the violent universe we live in, written with an enthusiasm that every stargazer will appreciate. Phil Plait, Ph.D. is a NASA-funded research astronomer with more than ten years of professional experience. He has written astronomy articles for magazines such as Astronomy, Muse, and Space Illustrated, and has been published in the Boston Globe. Plait has appeared on national radio and TV programs, including the Sci-Fi Channel’s “Countdown to Doomsday” documentary. 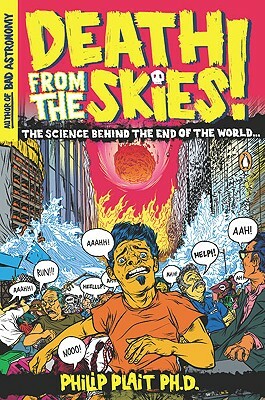 "[Plait] describes each doomsday scenario with glee. . . . Yet for all that, his book is strangely comforting." " A surprisingly upbeat look at all the ways the universe can destroy us . . . Eminently readable." "The enthusiasm Plait has for his subject is not any morbid fascination with the upcoming bang or whimper, but with how much we know now about the universe around us, and he conveys this enthusiasm with pages full of wonder."